Directional or Standard Airflow Panels…both have their place. 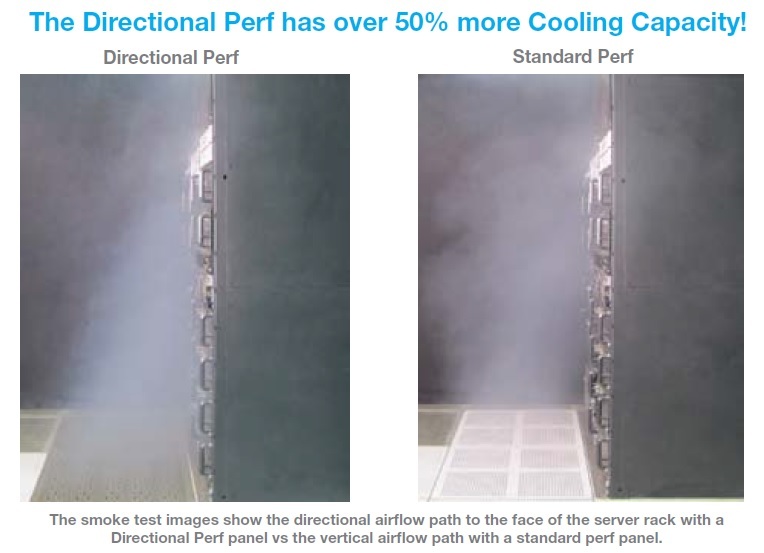 Directional, as well as standard airflow panels come in many varieties to satisfy all your data center cooling needs. These cost-effective and energy-efficient airflow panels offer compelling returns on investment and lower operating costs in both new build and retrofit Data Centers and labs. However, there are some unique differences between directional or standard airflow panels. Why one over the other? First we’ll need to look at what each one does. The purpose of a Directional airflow tile is that it allows you to pass air directly over the server cabinet. Directional tiles push the air into the server cabinet zones, resulting in better cooling and a lot less air waste. The newer, high velocity air flow panels can achieve up to 70% free air flow as opposed to the standard perforated tiles, which allow for only 25%. One challenge presented with older standard tile designs is that the air that passes in front of the server cabinet can cause a Venturi effect. This is where a vacuum is created in the space between the rack front and the servers, resulting in less amounts of cool air getting to the equipment. The most appropriate use for a standard airflow panel like the perf (perforated) or the grate is when a user is deploying aisle containment. If either aisle is contained, airflow panel directionality matters much less. Outside of containment, there’s not a ton of value to the standard airflow panels. If no aisle containment is in place, then directional tiles should be considered. Standard perfs are ok for low density (2kW) applications. Should all floor grilles perform the same if they have the same static pressure beneath them? 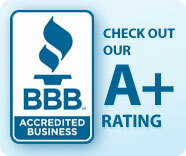 You would think they would, but surprisingly they don’t….and the reason why is construction. Whether it is direct or standard, staying current on airflow management technologies can provide you with a better run Data Center. For additional information on cold aisle containment, design consultation and pricing, contact us today at 1-800-638-2638.